When seeking drug treatment services, one early decision to make will be whether to join an inpatient or outpatient program. The main difference between the two treatment options is where the recovering individual lives; an inpatient program is residential whereas an outpatient one is not. Our around-the-clock services of an inpatient program make for greater intensity, but it is important to note that an inpatient program does not necessarily offer a greater chance of success compared to an outpatient one. Mobility – Participants can maintain their commitments to family and work, and meet any other personal obligations at their discretion during non-treatment hours. Privacy – Due to their mobility, participants will likely not have to disclose to others that they are in treatment. Self-monitoring – Being out and about in the world during non-treatment hours requires participants to avoid drug abuse cues, like frequenting places where they used to use. Collective support – Participants are guided to pursue supportive services outside of treatment hours, such as recovery groups like Narcotics Anonymous. The goal of drug treatment is always to attain and maintain a substance-free life. It is best practice to consult an addiction counselor to determine the most appropriate course of treatment for the specific individual. There are recovering patients at more moderate levels of substance abuse who want to fully focus on rehab and believe the 24/7 support of an inpatient program will work best for them. Outpatient treatment can also happen after a stay in an inpatient facility, as part of an aftercare program. Most often, rehab treatment begins with detoxification. A detox most often triggers withdrawal symptoms at varying levels of intensity. Detox can occur at home or in a treatment facility under the care and supervision of medical staff. Detox at home or “cold-turkey” detox is never advisable, but it is especially dangerous when the drugs of abuse are alcohol, benzodiazepines, opioids, barbiturates, and other sedatives. In this case, supervising medical staff members may be needed to assist the withdrawal process with medications federally approved for use in detox. For recovering individuals in an outpatient program, detox may occur on-site or off-site at a hospital or other facility. There is no hard and fast rule about where detox occurs; however, the outpatient program should offer guidance and coordinate detox services for the recovering person. It is critical to understand that detox should always be followed with an abstinence maintenance program. Detox alone is rarely, if ever, sufficient to maintain abstinence because it does not protect against relapse nor does it address the psychological dimension of substance abuse. Psychotherapy is considered the cornerstone of substance abuse treatment, both at the individual and group level. In individual therapy, a qualified counselor takes a methodological approach to helping the patient stop or reduce drug abuse, understand the origins of the drug abuse and environmental triggers, develop a sustainable recovery plan, and build communication and social skills to have a better life experience overall. Some of the most common psychotherapy methodologies that have proven to be effective in this area are cognitive behavioral therapy (CBT), contingency management, and motivational enhancement therapy. When considering an outpatient program, addicts and their loved ones can learn which methodologies are used during the psychotherapy sessions. Group counseling most often occurs in addition to individual counseling. This form of treatment is effective in helping members to hone and develop communication and social skills through interaction with one other. The group dynamic is different from the one-on-one dynamic of psychotherapist and patient. In a group, members must exercise social etiquette, listening skills, and patience. The combination of individual and group therapy provides an intensive form of treatment and can help to prepare recovering individuals for successful drug-free lives. Each recovering person has a unique history of abuse (either single drug abuse or poly-drug abuse). In some cases, depending on the type of drugs abused, medication-assisted treatment (MAT) may be advisable to prevent a relapse and/or block the effects if the drug is consumed after detox. Opioids include opium-based drugs such as heroin and synthetic opium-like drugs like prescription pain relievers. The U.S. Food and Drug Administration has approved three prescription drugs for use in opioid treatment: methadone, naltrexone, and buprenorphine. Although these drugs are available, it is important to note that not all outpatient (or inpatient) programs provide MAT. Those who suffer from opioid addiction will need to inquire with the treating outpatient program to learn whether MAT is available. Substance abuse is considered a family disease among addiction specialists. For this reason, outpatient programs may find it beneficial to incorporate family therapy and educational programs into the treatment program. Family therapy can marshal the resources and strength of the family unit to support the recovery process. As the family heals and replaces old unhealthy patterns with new healthy ones, the substance abuser appreciates greater indemnity against a relapse. Further, family therapy as part of outpatient treatment can help contain the drug abuse to the affected family member. Studies show that when one person abuses drugs, other family members are at an increased risk of developing a substance abuse problem. 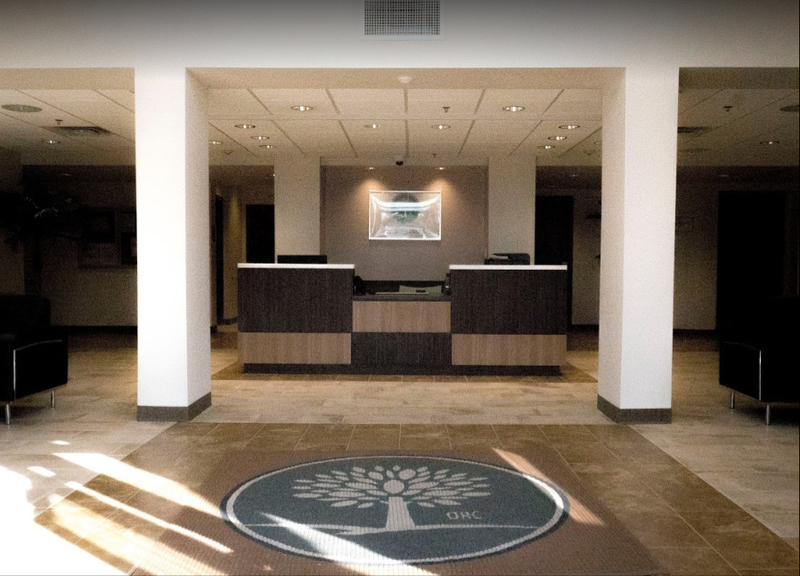 Orlando Recovery Center offers outpatient treatment based on scientifically proven methods. Our expert staff members are experienced and credentialed in the field of addiction treatment. When our clients are not in a treatment session, they are invited to enjoy the peace and tranquility of our lakeside location, participate in outdoor recreation activities, or utilize our resort-style amenities such as the pool and gyms. Aftercare can entail different types of services, including sober living homes, periodic meetings with a drug counselor and psychotherapist, and ongoing attendance at group recovery meetings. The key is to have a sustainable plan in place after discharge from a structured treatment program, follow that plan, and modify it as necessary.